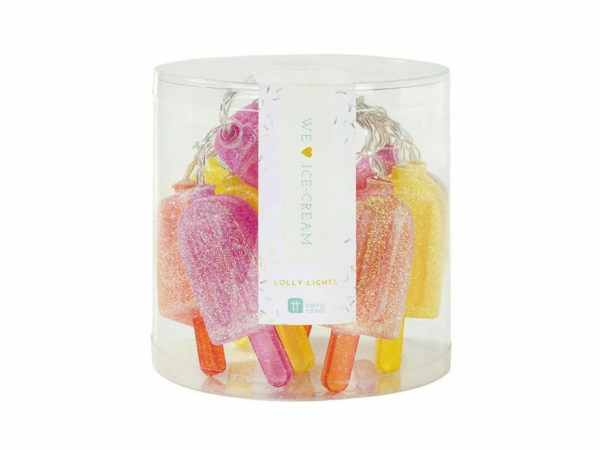 Have the best summer with these We love Ice Cream themed, Glitter Popsicle LED Lights by Talking Tables. Use to decorate your summer events. The 10 LED lights are 5.60' feet long. Hang these lollies indoors and outdoors. The lights require 3 AA batteries (not include). It comes packaged in a transparent cylinder plastic container.